Our Five Ring Circus: Liam, On the Big Screen, in Times Square! I'm so excited to announce that Liam's picture was chosen for the National Down Syndrome Society (NDSS) 2015 Times Square Video! Liam's picture will appear in the 2015 NDSS Times Square Video with more than 400 individuals with Down syndrome from around the world. We are obviously thrilled and honored that we get the chance to share our beautiful boy with the world! 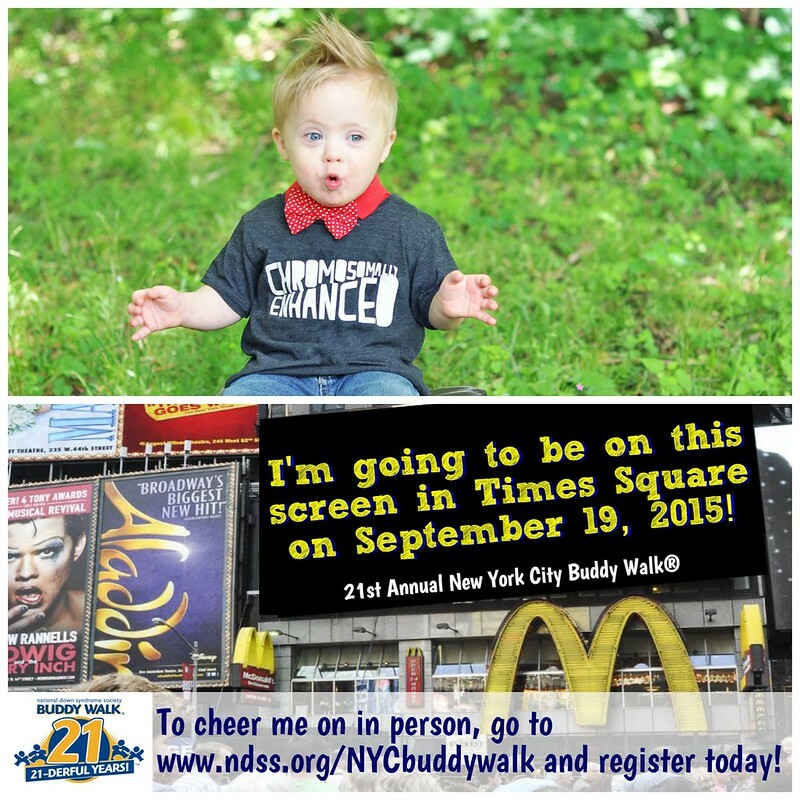 The 2015 National Down Syndrome Society Times Square Video will play in Times Square in New York City on 9/19/15 at 10 AM EST, which will be followed by the 21st Annual Buddy Walk in NYC. As much as we would LOVE to attend, I'm not quite sure we will be able to. BUT...we're going to try our hardest to see this incredible moment in person! And if not, it will be on Youtube and on DVD, plus we have some friends in NYC who are willing to attend for us! Grant and I are incredibly proud of our beautiful son. 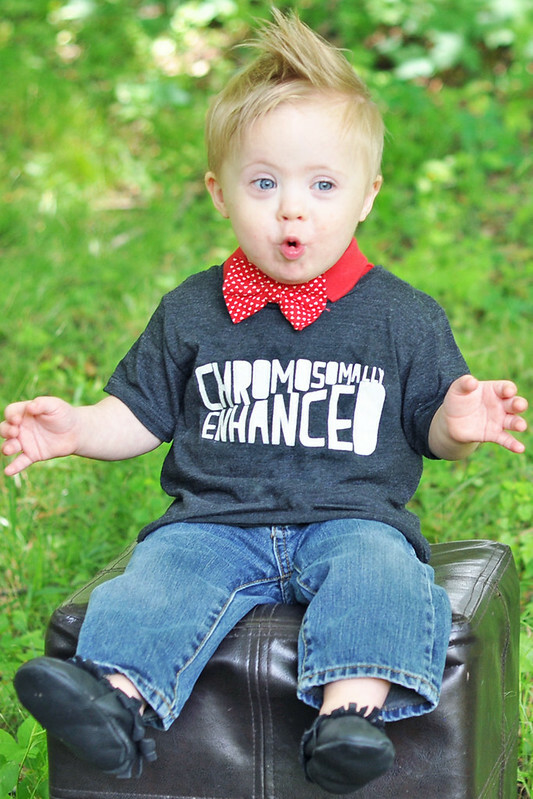 We hope that he, and the other individuals who are featured, will help change the face of beauty and show the world that people who have Down syndrome really are more alike than different! If you want to check out the 2014 NDSS Times Square Video, you can do so HERE. I dare you not to cry! If you would like to donate to this great cause, you can do that HERE. I saw this on Facebook and am so excited for you guys! <3 What amazing news! I've really enjoyed following your family - and love that we aren't too far away from each other! Congratulations! Thank you so much, Breanna! This is just awesome! I can't wait to watch the video. I'm excited to watch it, too. I'm sure I'll cry! This is so great! He's adorable! So exciting! And he's so cute how could he not have made it?!? Thank you so much! We're excited to see the video! Oh my gosh - that is so amazing!! How exciting! He is a star already!!! That is so awesome! I hope you are able to work out getting there! You'll have to share the YouTube video when it comes out too!